Preheat oven to 325 degrees Fahrenheit and grease two baking sheets that have sides (I used the base to my broiler pan and a metal 13×9 cake pan). 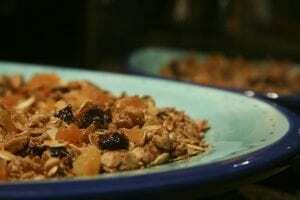 Thoroughly mix the oats, pumpkin seeds, sunflower seeds, flax seeds, wheat germ, almonds, walnuts, cinnamon, and shredded coconut in a large bowl. In a small saucepan on the stove on low, melt the butter, honey and brown sugar until warm but not hot. 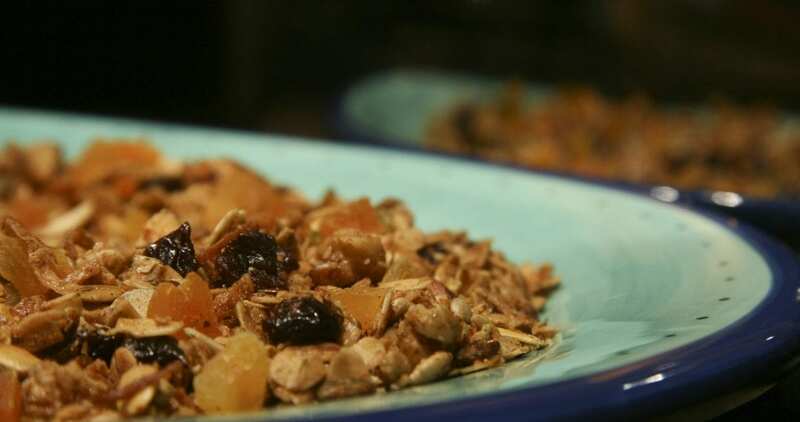 Remove from heat, immediately mix in the vanilla extract, then pour over the oats/seeds. Mix until they are all coated evenly. Spread in a thin layer – maybe 1/4 inch – on the baking sheets. Cool, then add all the fruit and mix well. 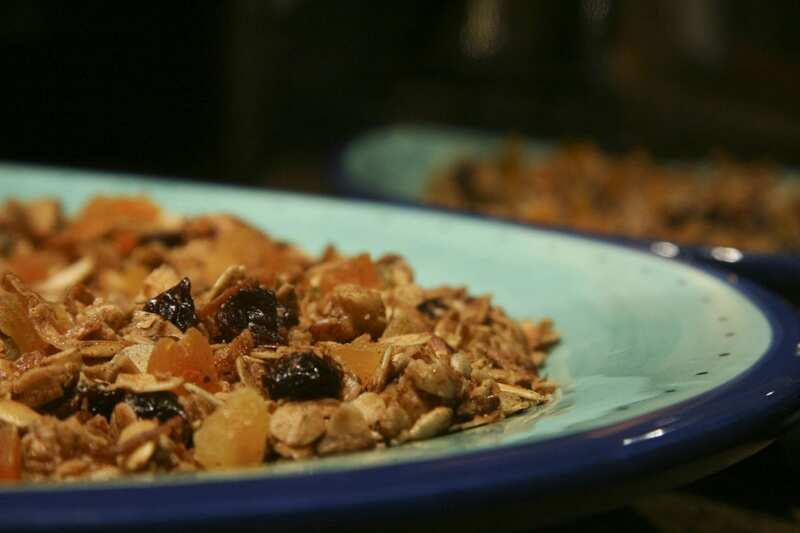 If you want chunky granola, break up the granola into pieces and mix fruit throughout. Makes 6 cups of granola.